If your parent or older family member wandered off from their nursing home, contact Carr & Carr today to learn what your options are. When a Silver Alert is issued by police, it means an elderly person is missing and possibly in danger. Frequently, a Silver Alert will be issued because an older adult is missing from an assisted living center or nursing home. Many times, the senior has been diagnosed with Alzheimer’s Disease, dementia or other forms of mental disabilities which make their safe return even more important. According to the Alzheimer’s Association, more than 60 percent of seniors with Alzheimer’s or other forms of dementia will wander. Additionally, if a person is not found within 24 hours, up to half of these wandering adults will suffer serious injury or death. For these reasons, it is imperative that residents receive supervision and safe care. Assisted living and other facilities must monitor residents to ensure they don’t leave a facility unless they are accompanied by a family member or other responsible person. 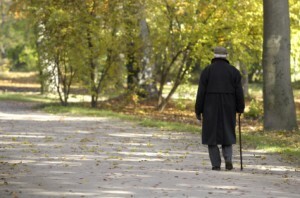 Our Attorney’s at Carr & Carr have helped many families of seniors who have wandered away from their care facilities. If your family member has walked off or wandered away from their nursing home or other senior living center and been injured or killed, you need to talk to an attorney today. Our attorney’s frequently work with residents and families who have suffered due to nursing home neglect and abuse issues. A free consultation will cost you nothing and will help answer questions about what legal options you have. Call 1-877-392-4878 to talk to on of our nursing home abuse attorneys today.